The Health Benefits of Curry Leaves. Called in Tamil as Karuveppilai (or Karuvepila ), Bengali as Barsunga and in Hindi Meetha neem (or as Kari patta, Katneem), curry leaf’s botanical nomenclature is Murraya koenigii Spreng. In certain parts of the country it is also called as Kadhi Patha and is used to made the delicay made out of curd and channa dal powder–kadhi. Native to India, curry plant is found wild almost everywhere in the Indian subcontinent excluding the higher levels of the Himalayas. There are references to this plant in ancient Tamil classic Sangam literature (c 2 BCE); wherein the plant is referred as ‘kanchaka narumuri’. Found in the outer Himalayas, from the Ravi eastwards, ascending to 5,000 feet, in Assam, Chittagong, Upper and Lower Burma, is widespread in evergreen and deciduous forests of peninsular India, often as underwood. Tamil kari actually is the ‘gravey’; vepilai means neem leaf; impling that traditinally the plant was thought to be a type of neem; but useful for making ‘kari’ (curry). British mistook ‘curry’ to mean spicy/ spice (for, gravey is usually spicy and is called masala) and named the plant curry leaf/plant; and the name stuck. Though the name suggests association with the Neem tree, actually curry leaf plant is a tropical tree of the citrus family ( Rutaceae ), such as lime. The leaves are the useful part of the plant. The long slender leaflets are dark green on top and paler underside. Since they lose their delicate fragrance when dried, it is necessary to obtain them fresh; dried leaves hardly has any use. The leaves have a strong, warm curry aroma when bruised or rubbed. Its sensoric quality is fresh and pleasant, remotely reminiscent of tangerines. Under the traditional ‘six types of tastes’ curry leaves are classified as bitter. ‘Just as the tender leaves of curry plant’ is an idiom usually used in Tamil to emphasis the distinctiveness and rarity, befitting the delicacy of the tender leaves of curry leaf plant. On the other hand, as most people discard the leaves from their serving, though may use the leaves to season and flavour, the idiom ‘just as the curry plant’ implies just opposite- heedless and callous attitude. Curry leaf is a popular leafy-spice used almost daily, either as fresh form when available or as preserved as dried or frozen for long-term storage, in Indian cuisine for its characterizing authentic flavor and distinct aroma. Curry leaves are to Indian cooking what Bay leaves are to the western world. Actually there is a reference to its use in making mango pickle in the Sangam literature Perumpanatrupadai - indicating its hoary past of at least 2000 years. Aromatic and flavorful, they can change the taste of a dish quite dramatically. Sizzled in oil, roasted in a pan or blended just raw, these versatile leaves pack quite a punch. In India, they are also used for medicinal purposes. Their effectiveness in preventing nausea and upset stomachs is almost legendary. 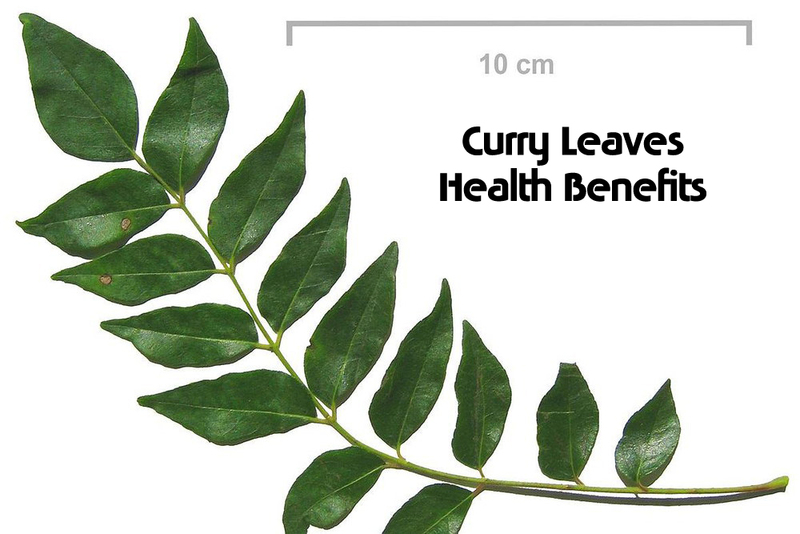 While curry leaf is used in very small quantities primarily for its distinct aroma due to the presence of volatile oils yet nutritional value and functional properties have attracted attention of researchers. Interest in greater use of curry leaf has been stimulated since its high antioxidant and anticarcinogenic potential were reported. Curry leaves are reported to a source of α-tochopherol, β-carotene, and lutein. Traditionally curry leaves are used in two ways -adding the final seasoning to a dish as in “Tarkas ” or as a basis for beginning a recipe. In Indian cuisines, curry leaves are used fresh; for some recipes, the leaves should be oven- dried or toasted immediately before usage or garnished once the cooking is almost over. Another common technique is short frying in butter or oil- ‘tarka’ . Since South Indian cuisine is dominantly vegetarian, curry leaves seldom appear in non-vegetarian food; the main applications are Rasam (thin lentil) or sambaar (vegetable curries). Because of their soft texture, they are never removed before serving, but can be eaten without any hazard. However in Sri Lanka and Kerala, the delicious chicken and beef curries are flavoured with curry leaves. Though extensive use of curry leaves are in Southern India and Sri Lanka (and are absolutely necessary for the authentic flavour), it is of importance in Northern India too. Together with South Indian immigrants, curry leaves reached Malaysia, South Africa and Réunion island. Outside the Indian sphere of influence, they are rarely found. Fresh leaves are rich in an essential oil, but the exact amount depends besides on freshness and genetic strain also on the extraction technique. Typical figures run from 0.5 to 2.7%. The following aroma components have been reportedly identified in curry leaves of Sri Lanka (in parentheses, the content in mg/kg fresh leaves): α-caryophyllene (2.6 ppm), α-gurjunene (1.9), α-elemene (0.6), α-phellandrene (0.5), α- thujene (0.4), α-selinene (0.3), α -bisabolene (0.3), furthermore limonene, α-trans-ocimene and α -cadinene (0.2 ppm). Newer work has shown a large variability of the composition of the essential oil of curry leaves. In North Indian plants, monoterpenes prevail ( α-phellandrene, α -pinene, α -pinene), whereas reports suggestes that South Indian samples yielded sesquiterpenes: α-caryophyllene, aromadendrene, β-selinen. An alkaloid, murrayacinine, is also found in this plant. The curry leaf comes from the small deciduous curry leaf tree, or Murraya, which is native to southern Asia. It possesses a pungent curry scent with overtones of anise and citrus. A small spreading shrub, about 2.5 metres high; the main stem, dark green to brownish, with numerous dots on it; its bark can be peeled off longitudinally, exposing the white wood underneath; the girth of the main stem is about 16 cm. Leaves are exstipulate, bipinnately compound, 30 cm long, each bearing 24 leaflets, having reticulate venation; leaflets, lanceolate, 4.9 cm long, 1.8 cm broad, having 0.5-cm-long petiole. Flowers are bisexual, white, funnel-shaped, sweetly scented, stalked, complete, ebracteate, regular, actinomorphic, pentamerous, hypogynous, the average diameter of a fully opened flower being 1.12 cm; inflorescence, a terminal cyme, each bearing 60 to 90 flowers; calyx, 5-lobed, persistent, inferior, green; corolla, white, polypetalous, inferior, with 5 petals, lanceolate; length, 5 mm; androecium, polyandrous, inferior, with 10 stamens, dorsifixed, arranged into circles of five each; smaller stamens, 4 mm. long whereas the longer ones, 5 to 6 mm; gynoecium, 5 to 6 mm long; stigma, bright, sticky; style, short; ovary, superior. Fruits are round to oblong, 1.4 to 1.6 cm long, 1 to 1.2 cm in diameter; fully ripe fruits, black with a very shining surface; pulp, Wistaria blue; the number of fruits per cluster varying from 32 to 80. There are only one seed in each fruit, 11 mm long, 8 mm in diameter, colour spinach green. Curry leaf has been used in folk medicine in China and other Asian countries as an analgesic, astringent, antidysenteric, antioxidant, febrifuge, hypolipidemic, hypglycemic, for improvement of vision, to treat night-blindness, and for regulation of fertility. The reported nutritional value of curry leaves have prompted the Tamil nadu government to include two grams of either curry leaf powder (or drumstick leaf powder) for five days in a week along with the noon- meals served to children of economically weaker section, with an expectation that inclusion will help eradicate “Vitamin A” deficiency among children between 3-5 years. The leaves, the bark and the roots of Murraya koenigii (L.) Spreng is used as a tonic and a stomachic. The bark and the roots are used as a stimulant by the traditional physicians. They are also used externally to cure eruptions and the bites of poisonous animals. The green leaves are stated to be eaten raw for curing dysentery, and the infusion of the washed leaves stops vomiting. A strong odiferous oil occurs in the leaves and the seeds of curry leaf plant. The chemical examination of this oil reported that this essential oil exhibited a strong antibacterial and antifungal activity. Analysis of purified extracts of Murraya koenigii Spreng indicate a significant a-amylase inhibitory activity. Effect of curry leafs on carbohydrate metabolism has been studied using rats as experimental animals and significant hypoglycemic action as been observed. There was increase in the concentration of hepatic glycogen and glycogenesis.